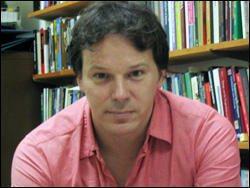 David Graeber talks about his fascinating study of — and polemic on — debt, DEBT: The First 5000 Years. It’s about the role of debt in human society and what to do about it today. How real is the debt? And what’s the “debt crisis” really about? David Graeber says that debt has been with us since the beginning of money — in fact, the first form of money was debt, as it is today, and, without it, such things like markets, the military and the state, would not be possible. It’s also at the root of such vile institutions as prostitution and the subjugation of women and was central to the formation of the European slave trade, as well as “wage slavery”. As this show was being produced, the country and the world were waiting with bated breath to see if the debt ceiling would be raised. The President and the Congress wrangled over whether and under what terms to let the Federal Government keep borrowing the money it needs to pay its bills. Republicans demanded steep cuts in social security, Medicare and Medicaid, and further cuts in taxes for the wealthy, in return for allowing the debt ceiling to rise. The Greeks already saw their safety nets slashed to ribbons — all to honor the debts the Greek government owes to the European Central Bank. We’re told that debts are sacred; honoring them is the very basis of morality. But David Graeber says it wasn’t always so. 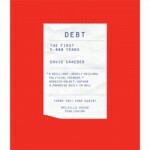 In his book, DEBT: The First 5000 Years, he writes that many, if not most societies considered it the height of honor to erase debts. That’s what was done by the Biblical Jubilee Year — every 7 years, all consumer debts were forgiven. Graeber says debt is fundamental to human societies, but not necessarily in the way we understand it. Sometimes it was a way to bind communities together — but our way of debt tears communities apart. He explodes the myth of debt as a natural, immutable obligation, It’s a human construction — and we can change it. 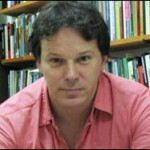 David Graeber teaches anthropology at Goldsmiths College in London. I spoke to him in New York City on July 25. He’s a member of the venerable anarchist organization, the IWW and he was active in the anti-globalism protest movement. READERS: Do you have examples of poems or songs about debt? Leave your suggestions and comments for other readers to see. Or write on the wall at our Facebook page. Pingback: Pressenza - Si avvicina la fine del capitalismo finanziario?